This OEM PVC paramedic Air EMS ambulance bed with different height levers are primarily used in acute out-of-hospital care situations by emergency medical services (EMS), military, search and rescue personnel. 1. The Aluminum Alloy Automatic Loading folding hospital gurney for ambulance is made of high-strength aluminum alloy thick-wall pipes. 3. 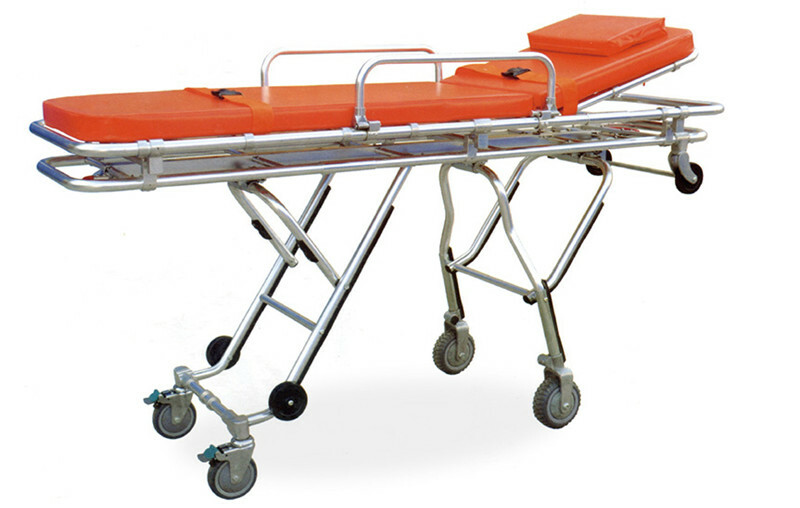 Easy to handle, one person is enough to send the patient (with this Aluminum Alloy Automatic Loading folding hospital gurney for ambulance) to the ambulance car. 4. 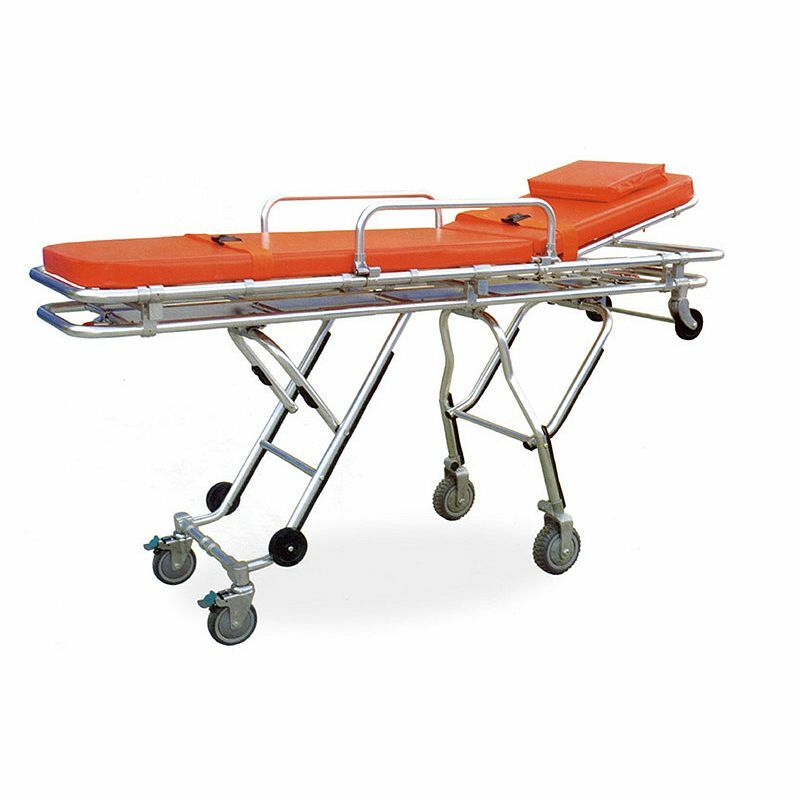 Foldaway legs, controlled by the handles on both ends of the Aluminum Alloy Automatic Loading folding hospital gurney for ambulance. 5. Fixing devices make the Aluminum Alloy Automatic Loading folding hospital gurney for ambulance locked when on the ambulance car. 6. This type of Aluminum Alloy Automatic Loading folding hospital gurney for ambulance is characterized by its light weight, safe usage and easy for sterilization.